The seismic effects generate sensitive local influences on the extent, on the distribution of	seismic motion and on the damage during the earthquakes. 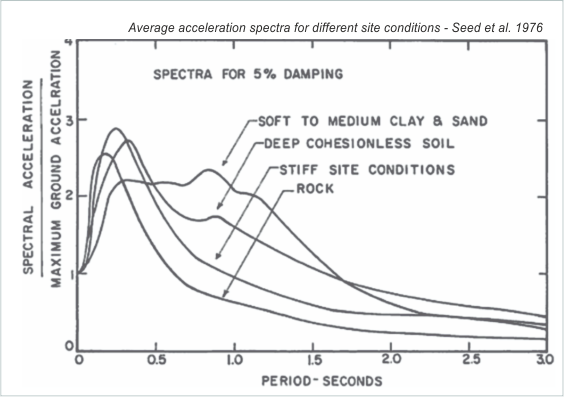 If the effects of site, product from contrasts of stiffness between the soil and bedrock, are abundantly nown from the application with 1D models, more complex is the study of the amplifications of the seismic motion at due to the topography and the possible geometries buried. The site effects are the result of multiple physical phenomena (multiple reflection, diffraction, focalization, resonance, etc.) that the waves undergo in correspondence of heterogeneity and discontinuity of the surface layers and in correspondence of topographic irregularities. Part of the energy released during an earthquake they spreads with elastic seismic waves that propagate inside the ground and along the surfaces with a certain velocity, amplitude and frequency that depend on the seismic-elastic properties (density and stiffness) of the ground. The seismic waves inside the earth are generated whenever is created an elastic unbalance that causes sudden deformations due to the faults movement. Internal seismic sources involve faulting and cutting movements of the internal structures of the earth. Part of the energy released during an earthquake they spreads with elastic seismic waves that propagate inside the ground and along the surfaces with a certain velocity, amplitude and frequency that depend on the seismic-elastic properties (density and stiffness) of the ground. The evaluation of local seismic response, is the study of the behavior that the ground offers to a specific dynamic stress, defining the seismic motion at the surface in terms of amplitude (maximum acceleration, velocity, displacement, etc..), content in frequency (elastic response spectrum, etc.) and deformation for problems of the liquefaction. The degree of accuracy in the prediction of phenomena of amplification can be increased by resorting to numerical analysis, capable of modeling quite complicated situations from the point of view topographic, stratigraphic and dynamic behavior of soils. A finite element model (FEM), is able to consider, in the analysis of seismic response, many local site effects related to the characteristics of the two-dimensional ground.